Everyone needs a big roomy sweater with just a dash of pizazz. Mine is the Salted sweater designed by Alicia Plummer in a heathery purple Classic Elite Classic Silk. 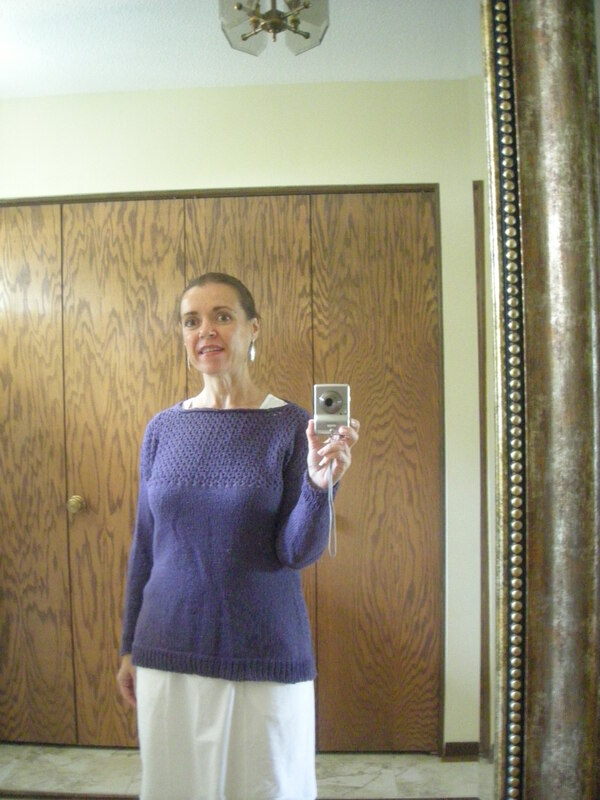 I chose this pattern because I liked the boat neck and the mesh detailing across the yoke. The original is knit with 3/4 sleeves, but I want to get more use out of this so I knit the sleeves full length. Because it’s bottom-up, it was a little tricky to gauge exactly where the hem would hit, and if I had to do it all over again, I might shorten it an inch or so. It’s big — I knit it to 39″ bust knowing full well that would give me a good couple inches of positive ease. But that was how I wanted it. Roomy, cozy, super soft because of the cotton/silk yarn, and with that casual everyday vibe. This is one to wear with jeans or yoga pants around the house on my at-home days. 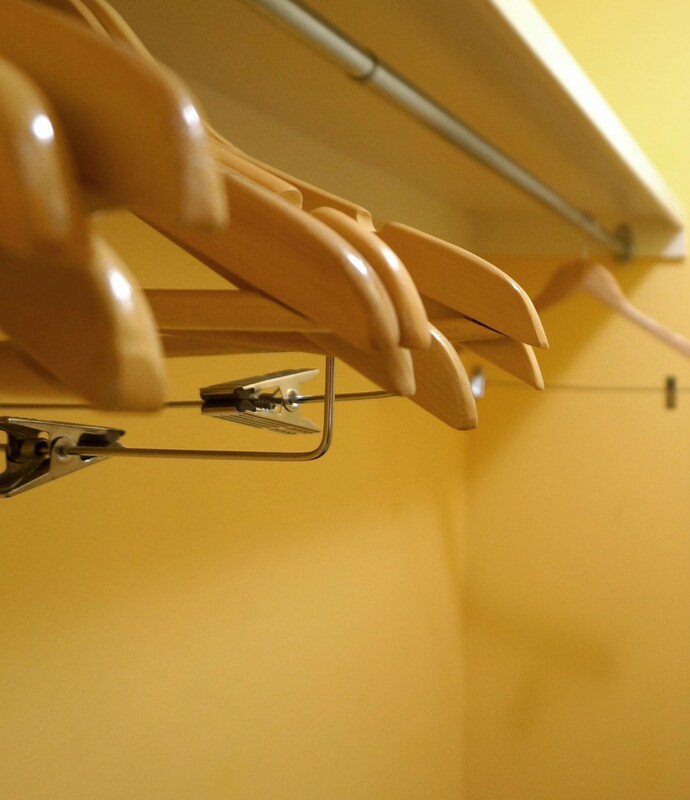 It’s every bit as comfy as an old, much-washed tee shirt, even though it’s fresh from the needles. One other thing that I might change is the tubular cast-on. In my experience, this cast-on works best with elastic yarns like ordinary wool, less effectively with non-elastic yarns like cotton. With this yarn, the ribbing doesn’t really contract much, and the tubular cast-on creates a soft, floppy edge. I was in a rush to cast on and didn’t really think it through, but if I’d paused before starting, I’m sure I would have picked a different cast-on method. The yarn is absolutely delicious, and after starting this knit, I bought some more in a denim blue color for another sweater. It’s soft and lofty and has a bit of heathering to give it a whisper of textural interest. 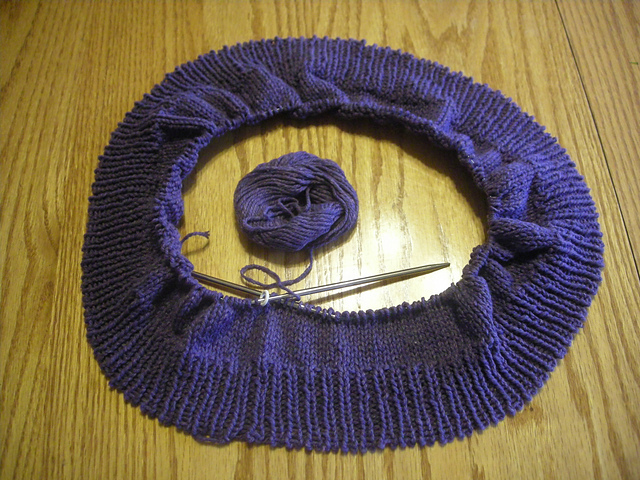 Here’s a snapshot from the early stages of knitting that shows the yarn and the loose cast-on both a bit better. That picture captures the color better, too. My camera hates all colors except yellow and orange, which it thinks everything should be, but it managed to stay pretty true to this purple here. This leads me to a question. What kind of camera/phone/whatever do you use, and would you recommend it? Another question — do you use photo editing software, and if so, do you recommend that? I’ve been pretty unhappy with my pictures lately (my old Coolpix really seems to be falling apart), and I’m thinking about upgrading.